When Comic Books Ruled the Earth: More of the same Batgirl! More of the same Batgirl! Another version of the same ol' Batgirl. My theory is she had so little regard for protecting her secret identity, she would often leave her mask at home. I enjoy drawing Batman acting like a freak almost as much as I enjoy drawing Batgirl and Supergirl. Poor Robin. If you look closely, there's a Todd McFarlane-era Spider-Man picking lice out of a Neal Adams Superman's hair. Todd McFarlane-era Spider-Man loves to groom his friends! Alex Ross takes on the New Mutants! How do people find this blog? 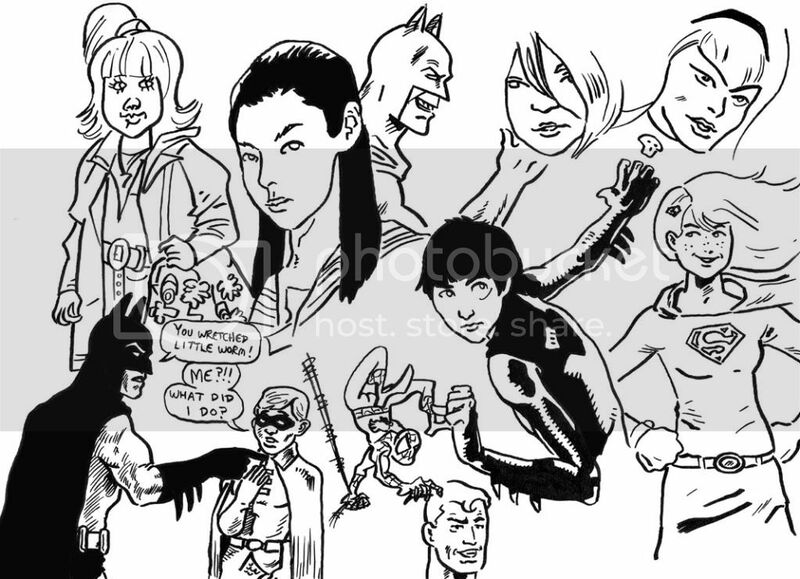 More Cass Cain Batgirl fun times! I don't know who this is!